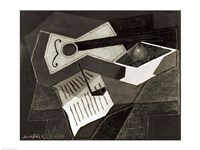 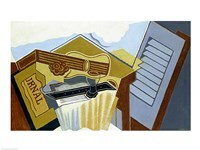 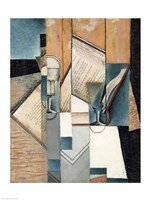 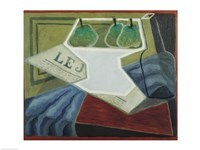 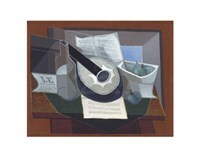 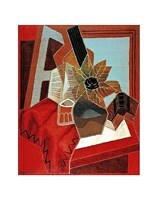 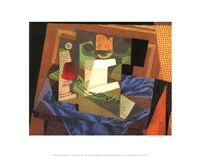 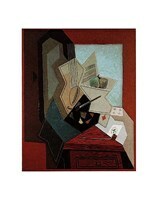 Juan Gris (Born March 23, 1887) was born in Madrid, Spain. 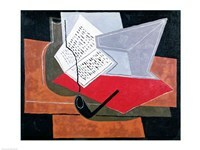 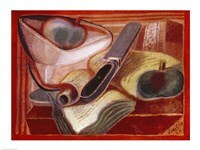 He was a renowned sculptor, illustrator and painter. 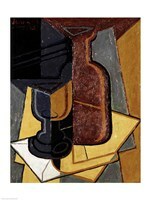 Born José Carmelo Victoriano González-Pérez Carlos, Juan was one of the leading figures in Cubist painting. 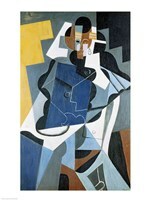 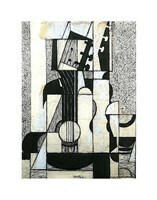 As some put it, he was the only Cubist who was talented enough to make Picasso uncomfortable. 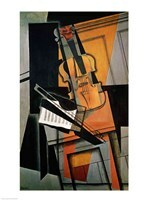 He built upon the early Cubism’s foundations and steered the movement in new dimensions. 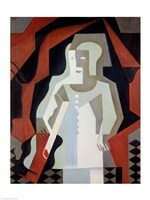 Gris was the 13th of 14 children. 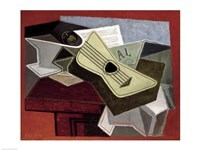 From 1902 to 1904 he studied physics, mathematics, and mechanical drawing at Madrid's Escuela de Artes y Manufacturas. 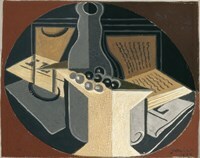 He was a strong student, but the rigidity of academic life did not appeal to him, so he shifted his focus to the study of art driven by his natural ability in drawing. 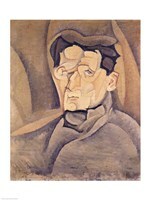 He was one of Stein Gertrude’s favorite artists and he became a member of the tight-knit group of avant-garde artists working in Paris. 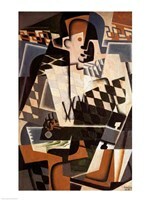 The artist decided to adopt the fundamentally disjointed picture spaces of Georges Braque and Pablo Picasso, imparting to his works a graphic and bold look. 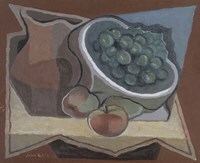 His paintings are easily distinguishable from those of these artists, informed by his background as an illustrator, with a commercial, almost slick appearance, with crisp design elements found throughout his artwork. 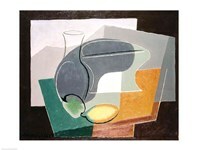 Gris aimed at pleasing the eye, unlike Braque and Picasso who delighted in destroying the conventions of painting. 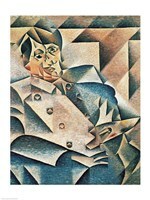 Gris preferred the emotion that corrects the rule. 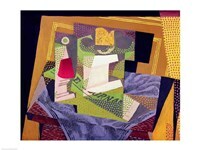 His traditional subjects, saturated colors and well-balanced compositions popularized the avant-garde movement. 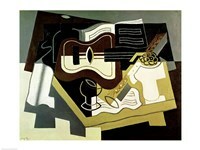 However, his treatment of the picture space was rather radical. 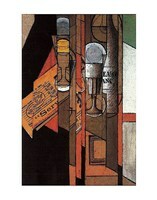 He incorporated advertisements and newsprint into his work.